Give us a shout at 801-521-6424 to check availability and book today. 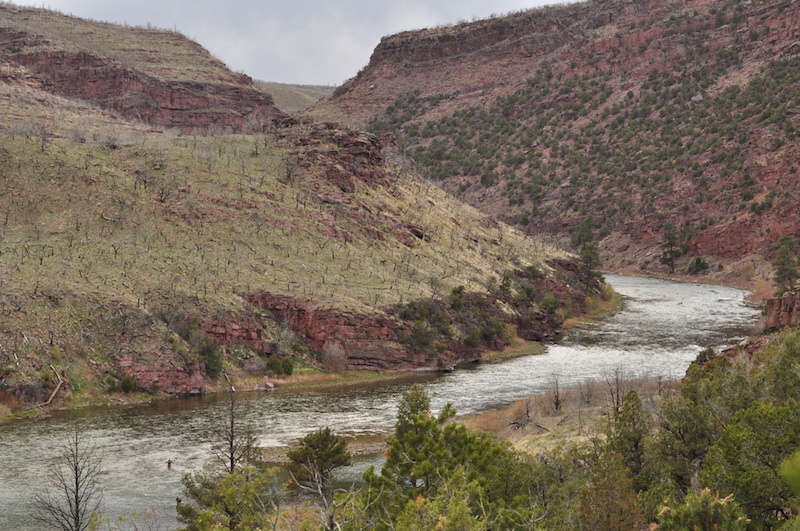 The Green River is and incredible fly fishing river, especially in the past years. 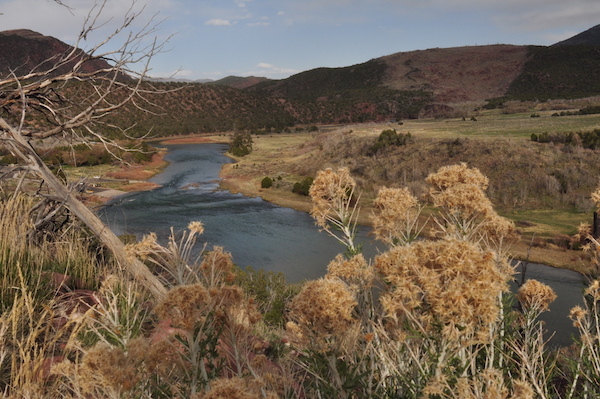 Although many rivers in the west have suffered from lack of water and heat, the Green River drainage has been blessed and not been affected by these conditions. In fact with steady flows it has flourished and it's trout and the resource are fishing similar to what we experienced when we first started guiding on the Green River in 1986. If you enjoy fishing dry flies especially we feel it's one of the most consistent dry fly fisheries in the west if not the world. All techniques are productive on this river, however we feel it's abundant dry fly fishing opportunities throughout much of the year are what sets this river apart from many western waters. We began guiding on the Green River in 1987. In 2015 we sold our Green River permit to Matt Lucas, now the proud owner of Western Rivers Green River Guides. In regards to his crew of guides, for those who have fished with us in the past, you'll be glad to know that he has kept everyone, and for good reason. These guys are good. Although, this hasn't changed, what has changed is all the improvements that Matt has brought to the service. For each of us, this has been a good change, and one in the long run will improve your fly fishing experience. You can still book your Green River Guide trips though us: (801)521-6424 or you can call Matt direct at 801-300-3254. Fly fishing the Green River with an experienced fly-fishing guide is one of the best ways to enjoy Utah's and one of the west's most prolific trout streams. This remote, incredibly scenic tailwater trout fishery is quietly tucked into the northeast corner of Utah’s back country. As you cast your fly over emerald clear waters towering red rock canyon walls gaze down upon you eventually giving way downriver to vast high mountain desert terraces before eventually slipping into Colorado. As your experienced fly-fishing guide effortlessly maneuvers the oars, browns and rainbows are easily seen scurrying from beneath the boat. With unbelievable clarity, you’ll witness the rise to a dry fly, the aggressive eat of a streamer, or that flash when a well presented nymph is taken. ​Western Rivers Flyfisher is one of Utah’s most distinguished fly shops and guide services. It’s earned that reputation after over two decades of service. Steve Schmidt, its owner was one of the first to guide fly-fishing clients down this incredible resource before Emmett Heath joined him in 1986 to start Western Rivers Flyfisher. Over the years he and Emmett have passed their enthusiasm and passion for fly-fishing on to a new breed of knowledgeable and experienced Green River guides, who love to fish dry flies and have a passion for this prolific river. The Green River is truly one of the best dry fly fisheries in this country; excellent aquatic hatches, and an abundance of diverse terrestrials create very consistent dry fly fishing throughout much of the season. Throughout the day our guides will employ a variety of techniques to help you optimize your fly-fishing experience on this incredible river, but given the opportunity to catch a trout on a dry fly you’ll find that urge hard for them to resist. As part of your day you’ll enjoy a stream side lunch of sliced veggies and fresh fruit, with your choice of BQ chicken sandwiches, hamburgers or deli sandwiches that are hard to finish. If you have room after all that, there’s usually a little something for those who have a sweet tooth. Western Rivers flyfisher has the longest standing uninterrupted guides service on the Green River, permitted by Ashley National Forest. Our full day rates are $550.00 a boat. We require a 50% deposit to book a trip. Unlike many of the service on this river, we do put in a full day. Lunch, beverages and all the personal instruction you may need to make your day a success are included. 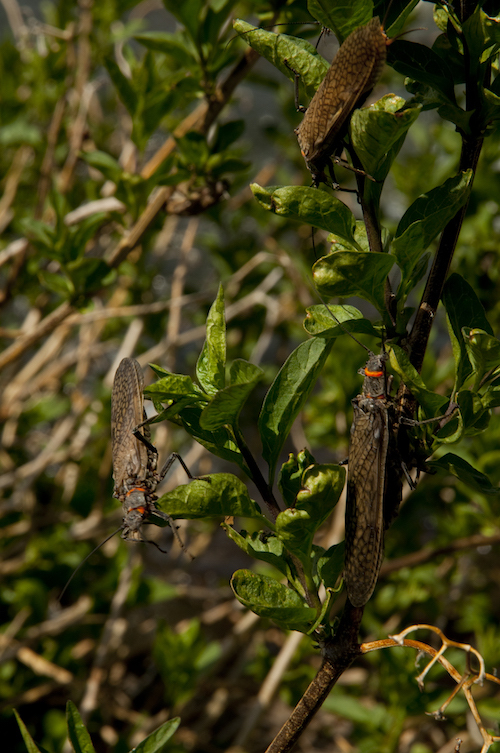 Although all guides carry a supply of flies, they are not included as part of the trip. We highly recommend having a selection of flies appropriate for the time you’ll be fishing the Green River. We carry a full selection of appropriate flies for the Green, but can supply you with a list of flies you’ll need should you tie flies or have a shop in your area where you can get them. Should you need to rent rod and reel or waders and boots, Western Rivers Flyfisher has rental gear available as well. Thank you and we look forward to being apart of your fly fishing experience on Utah’s incredible Green River. Written notice must be received 14 days prior to your trip to cancel or reschedule dates. If written cancellation is received 14 days prior to your trip you can transfer your deposit to another date within the calendar year or receive a full refund. Any reschedules must take place the same calendar year as your original trip. If you are within 14 days and cancel your trip, your deposit will be non refundable. Overnight trips are our favorite way to experience the river. Not only do you get the opportunity to fish multiple sections of the river, you get to see the Green during times of the day when most have headed for the barn. The evening hatches and solitude are tremendous, something you need to experience to appreciate. No ringing phones, honking cars, or loud television at the end of the day; just rising brown trout, soaring nighthawks and a chance should you not have had enough to fish a little on your own. Our overnight trips are designed with one thing in mind, taking care of everything so you can fish. We provide the guide, tent, great food, cook, and camp set-up. All you need to do is show up with your personal items, a sleeping bag, and a strong casting arm. At Western we have built a culture of guides and clients that share common ideas about fly fishing, that in large is not about punching the clock, a number, size or how much you spent on gear. We pride ourselves that fly fishing the Green River is about the emerald water, the towering red rock canyons, 90 plus foot Ponderosa Pines, prolific dry fly hatches, life altering sunsets, and all set in the high mountain desert of Utah’s back country. We have clients that have been floating with Western Rivers Guides for decades on the Green River. Since Western started in 1986 we have focused on our customers and building relationships with them that have lasted generations. We always look forward to meeting new clients and creating new trout junkies. Our guides have set the bar on the Green River, due to their unique personalities and old school guiding style our guides consistently due longer floats and spend more time on the water than any other outfitter, guiding fly fishing trips is what we do. We offer a number of trips, from wade fishing to multi day floats and camp trips, we are always open to customize our trips to meet our clients requests, from 4 course meals on the river to cold beverages on tap at camp.